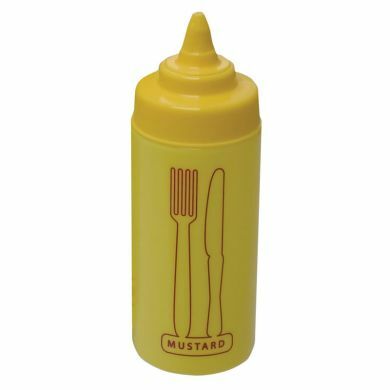 The Squeeze Bottle Mustard 16oz is made from soft polyethylene in a classic diner style. It has an extra wide neck for easy refill. 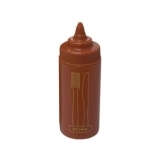 It has a screw top lid, with a tip that can be cut for desired application.